A stand out model from Guess for Men. 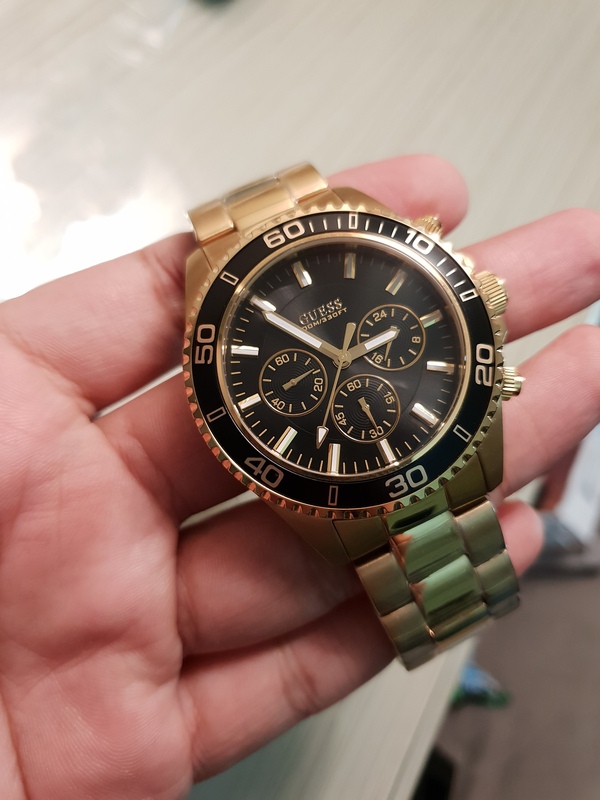 This Chaser design is made from PVD gold plate and has a black bezel. This model has a stylish black dial with chronograph gold baton hour markers and hands. 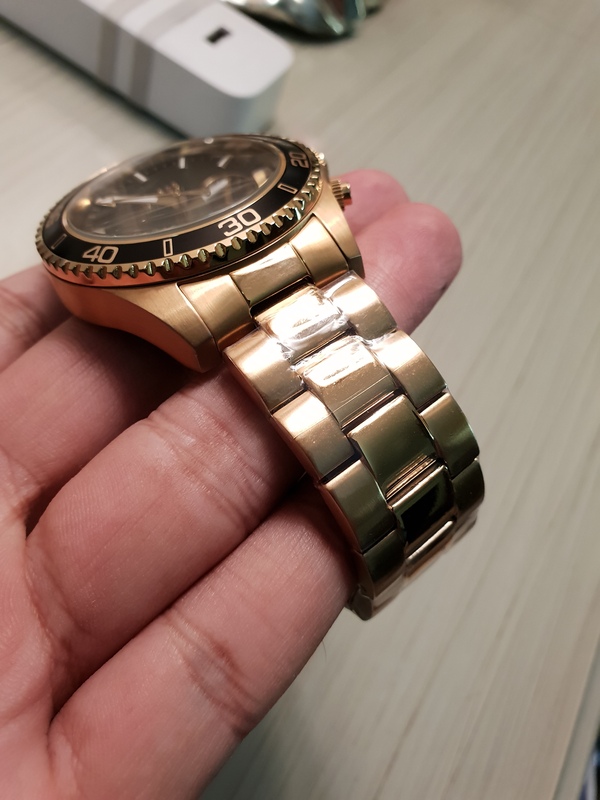 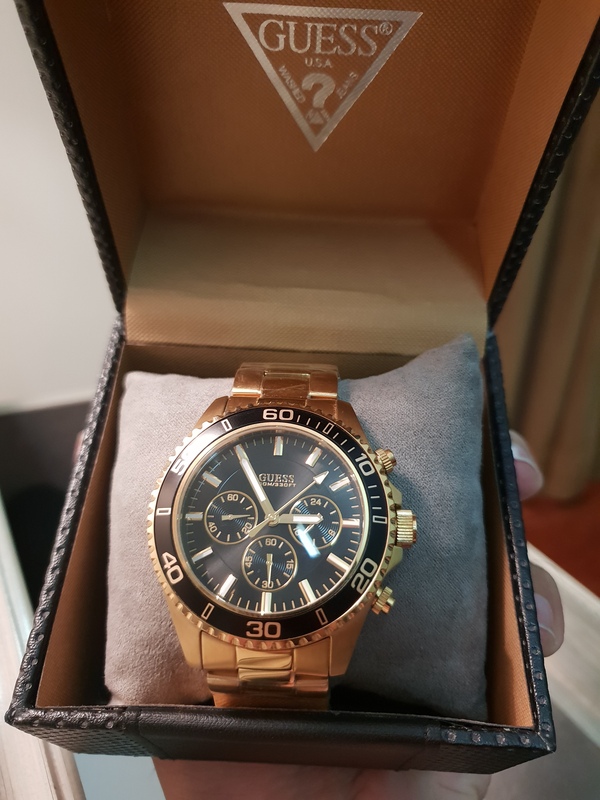 It fastens with a gold metal bracelet and powered by a quality quartz movement.